Peggy’s at it again, already planning for this Christmas. You’ll see some new modern needlepoint designs coming soon, but this mosaic personalized needlepoint stocking is a good twist on some of our existing traditional designs. There are complimentary stockings and needlepoint ornaments to this, to see all of our needlepoint canvases, visit our personalized needlepoint kits shop. 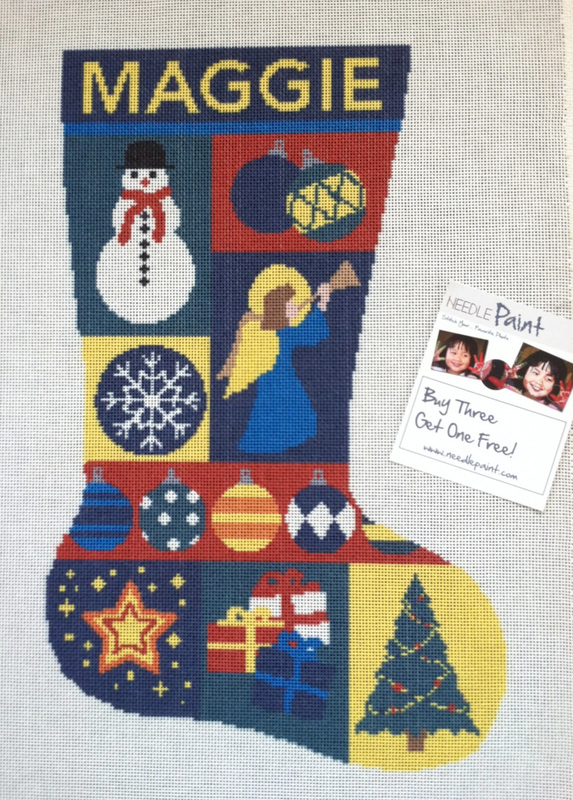 To buy and personalize this Christmas stocking canvas in our shop, click here. We made a new needlepoint kit for a friend, and I just have to share it. 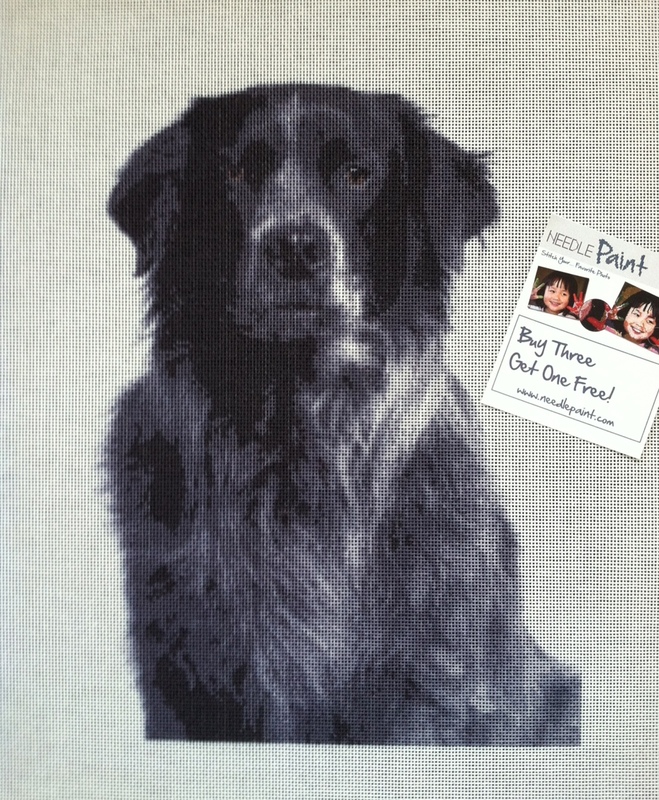 Our friend is a photographer and shared this picture of his dog, and look at how well the dog needlepoint canvas came out! Using photos for needlepoint is easy, if you want to create a custom needlepoint kit, go to our website, NeedlePaint.com and try it out. 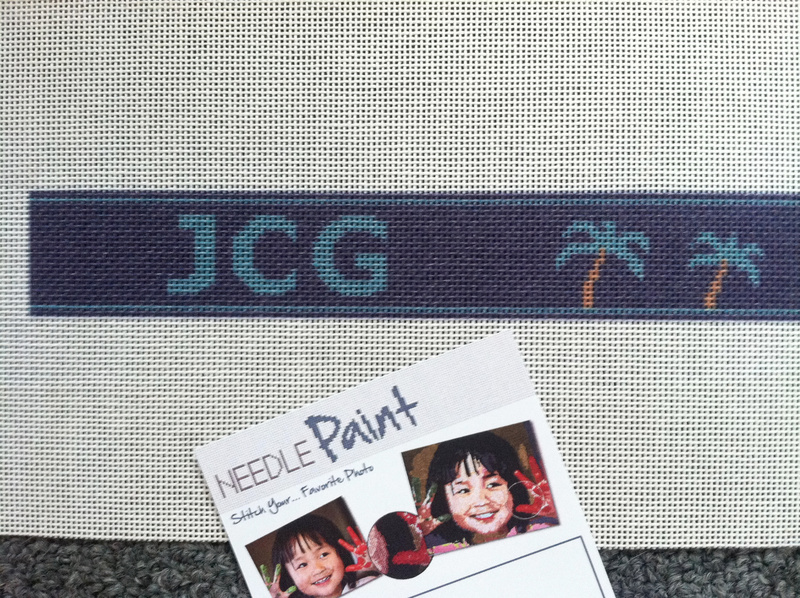 If you want help, email us at info (at) needlepaint.com or check out our needlepoint design help blog. We made a new needlepoint design last week, again for a belt. It seems our recent blog on needlepoint belts has really drawn some interest in more custom designed belt needlepoint canvases.